By The Vanguard Group, Inc. Developer: The Vanguard Group, Inc.
Use the app to do the following (some features may not be available for employer-sponsored plans): •	Manage account activity (check your balances, monitor performance, view account statements and messages, review employer-sponsored plan). •	Buy & sell (trade mutual funds, ETFs, and stocks; use your camera to invest by check into an eligible account; transact on your employer plan). •	Stay informed (use the portfolio analysis tool, track market index trends, research investments, view and share the latest news). Financial advisors: Download "Vanguard for Advisors," our free app that's designed for you. Disclosures **Vanguard ETF Shares can be bought and sold only through a broker (who may charge a commission) and cannot be redeemed with the issuing fund. The market price of Vanguard ETF Shares may be more or less than net asset value. ** U.S. Patent Nos. 6,879,964; 7,337,138; 7,720,749; 7,925,573; 8,090,646; and 8,417,623. **Visit vanguard.com or contact your broker to obtain a Vanguard ETF or fund prospectus containing investment objectives, risks, charges, expenses, and other information. Read and consider carefully before investing. ** Mutual funds and ETFs, like all investments, are subject to risk, including the possible loss of the money you invest. Images are for illustrative purposes only. iPhone and iPad are trademarks of Apple Inc., registered in the U.S. and other countries. © 2019 The Vanguard Group, Inc. All rights reserved. Vanguard Marketing Corporation, Distributor of the Vanguard Funds. The brokerage accounting accuracy is spotty. The interface with the brokerage is agonizingly slow. It takes 10 seconds to bring up or refresh order status - unbelievably bad! You can’t sort order status by security. You can’t specify that two limit orders should execute only if both hit their limits. You can’t specify that an order be executed only if another order has been executed. In the latest version of the app, changing an order works only about 50% of the time, seems like the app or the backend forgets what you enter, and complains the data is missing. The personal performance calculator is a completely broken, amateurish waste of space. Any holdings bought or sold within the time period in question are ignored. Only the holdings that existed at the beginning and end are considered. Former accounts are ignored. In general, accounting back end systems at Vanguard are pathetic. Vanguard is excellent for its low fee mutual funds and etfs, and horrible for its computer infrastructure. Automatically attempts to log me in with “Touch ID” which I assume is really Face ID on my iPad Pro. But I just crashes every time. The App feels like lipstick on a pig. The integration with the backend platform is clunky and does not handle the transition of authentication credentials gracefully. Not sure where all the 5 star ratings come from but the platform is so frustrating. Crashes every time with FaceID enabled on IPad Pro. Only workaround is to disable this feature. After installing the new version, and selecting the Face ID option, the application crashes every time I open it because Face ID does not work properly. I have been with Vanguard for decades. I make most of my own investment decisions. 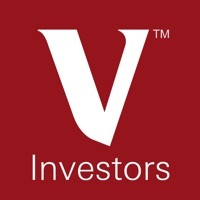 I am very pleased with the selection of investmesnts and the low expense cost. I also receive good investment advice on their website. Each update and it gets slower and slower and sloooower now we just have rotating blocks...at least my 5 month old grandson seems to like to stare at it. It will be nice to have option to download to iPad or iPhone instead of just printing! Best financial tool I have experienced. When I select an employer plan from the accounts overview, all I get is endlessly rotating blocks - the app hangs. 1. No REBALANCING TOOL. This is a must and it’s missing here and on the web site. 2. No YTD performance numbers. 3. Buy sell exchange is laborious and not possible in some instances forcing one to use the web site. Vanguard has a wide choice of low cost ETFs . The on line info is broad and complete. Hover, The articles cater to the novice. My one wish is more articles for the experienced investor. Take a look at Personal Capital platform. I can quickly determine where the investments are giving me the ability to rebalance based on the total assets. Looks like your attempts to get Face ID working has screwed up Touch ID. It’s a mess. I want to see when I open my account, the daily percent change in each position and the daily percent change for my entire account. I also want to see on the same page, the daily percent change in the major averages. Also I want to see the total net change in my account. Your web page is frankly inferior. User interface is awful compared to Schwab or Fidelity. Excellent app, except for one glaring defect - no showing of daily gain or loss on portfolio. I’m a big fan of Vanguard because of the low cost, their efficiency, and always being their to help. This is a nice financial app. It provides most all of the basic info you need. It could be better by providing more information on holdings. Even the details on Vanguard funds are skimpy. Could also offer better access to research on both investment strategies and on individual asset choices. This is the most reliable app I use, and I use it nearly daily. I’ve used Vanguard for over 35 years. During those 35 years I’ve also had accounts with other major firms. Vanguard is the most versatile, user friendly service around. Their educational information is excellent and understandable for a new investor or a seasoned investor. I like it and use it quite often to keep up with my accounts.great for the road and when visiting. Also I like it for trading and has good updates. Keep up the good work. I enjoy the easy access and stability of the app. The app performs ok. Trading in the brokerage section when you wish to perform other transactions not user friendly. This would be 5 stars except you can’t research an investment other wise is great. I should be able to compare my various investments or those in my watch list over various time periods then know witch to keep and which to sell. That is a big fault. The best app, the best price, and the best returns over time. That’s my personal experience! Would like to see the daily change by holding. Vanguard is trailing other brokers in terms of technology and availability to research stocks. Plus their site was down when I wanted to trade!! Still have to sign in manually...other wise good app to keep track of finances. Any time i try to make a new account, it crashes half way through. Not very reliable app. Vanguard is excellent! But Vanguard needs more option trading tools like Greeks, Imp Vols etc and most importantly usability, especially on mobile devices like ipad. Amazes me that Vanguard options Platform is not more usable, especially now that all brokers are offering commission free on more and more etfs. Vanguard is horrible for trading options at. Better options platform and tools would help improve liquidity on Vanguard Viper ETFs and give Vanguard extra revenue streams since most levels pay commissions on Options. On the menu column on the left of the app there are all sorts of choices; check your balance, check your fund performance, shop for other funds - but there is no selection to easily transfer funds into your Vangard account. You end up hunting all over the app and finally by going to “contact us” you can finally make your bank transfer. Could we please just add a button on the left so that we can easily make our random deposits into our Vanguard account? I would think this function would be just as important as checking the balance and all the other options listed on the sidebar. But it’s not there. Of a good design until it is there. Okay; I found the tiny red letters under balance and holdings; you click on that. Once you know it is there, it is easy. Some of us simple folk need big print and big obvious buttons. Problem solved though.